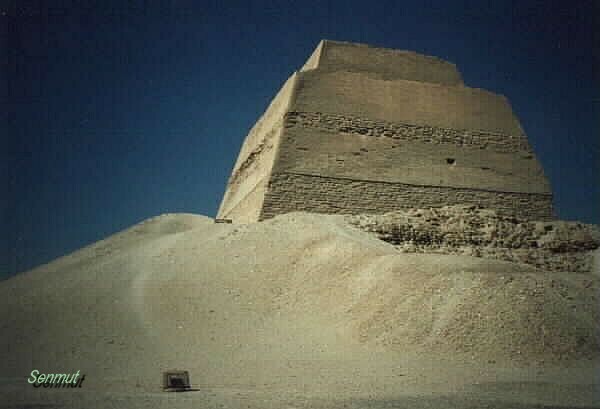 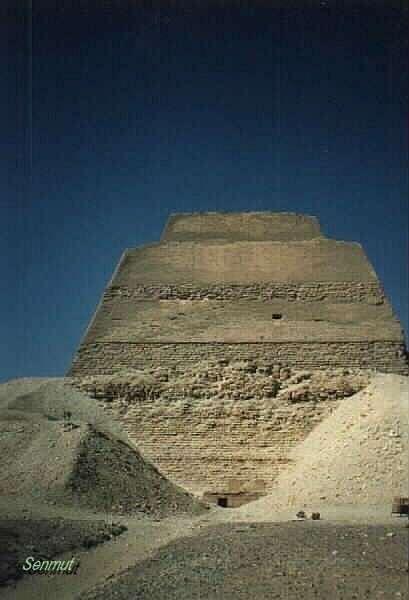 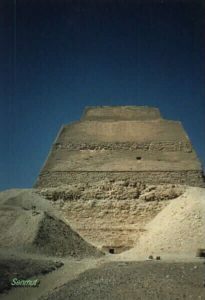 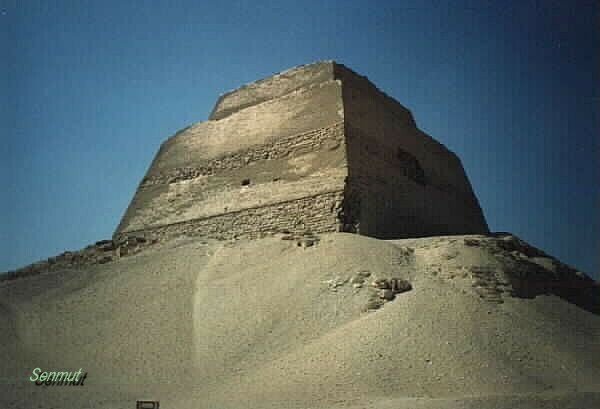 At the cemetery of Meydum we find the first attempt of farao Snefru, 1st farao of the 4th dynasty, and which attempt failed. 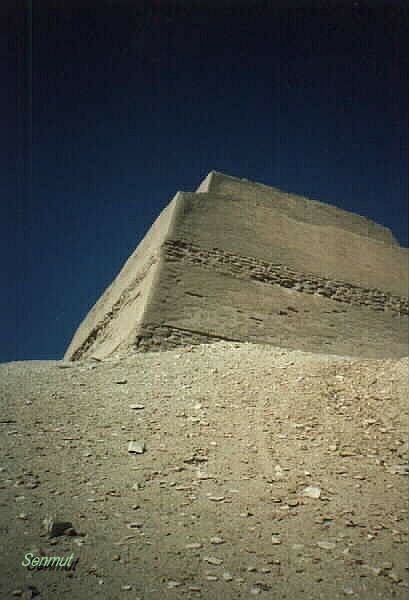 The core is still standing solid, but the outer part not and collapsed at all four sides. It is unknown why he changed the building site for another attempt is not clear, but he did move to Dashur.